It’s never too late to improve yourself or develop old skills. If you are a Singapore citizen aged 25 years and above, what better way to start than to pick up a new language! Singaporean citizens aged 25 years and above are awarded a credit of $500 per year, starting from January 2016. 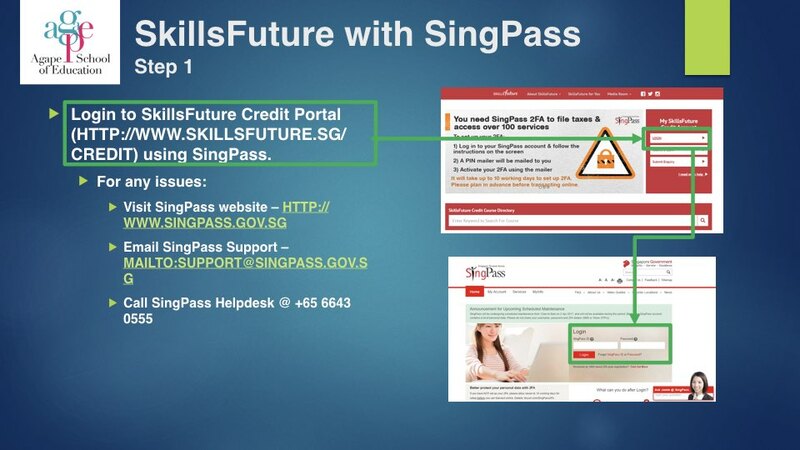 This credit is to be used to enable all Singaporeans to develop to their fullest potential. What better way to improve yourself than by picking up a new language or refreshing rusty skills? Agape School of Education now offers Korean and German classes that are claimable via SkillsFuture Credit. It is never too late to pick up a new language and at our school you will find a variety of resources to help you master the language in no time. Its an easy 3-step process! Students may make their claim within 90 days of the start of the course.